-A military classic by a legendary American general. 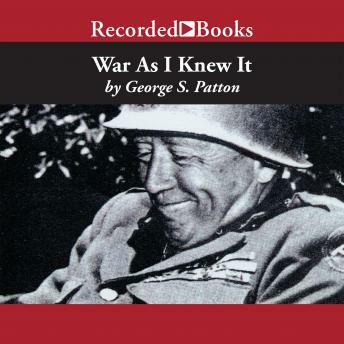 War as I Knew It is the personal and candid account of General George S. Patton, Jr.'s celebrated, relentless crusade across Europe during World War II. First published in 1947, this absorbing narrative draws on Patton's vivid memories of battle and his detailed diaries, from the moment the Third Army exploded onto the Brittany Peninsula to the final Allied casualty report. The result is not only a grueling, human account of daily combat but also a valuable chronicle of the strategies and fiery personality of a brilliant warrior.